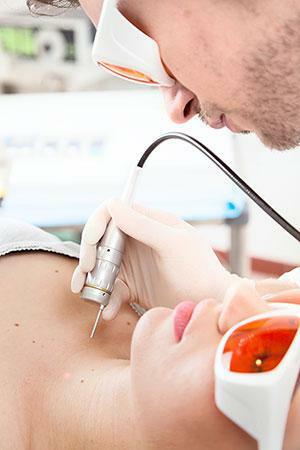 CO2 laser resurfacing is done to treat sun damage, age spots, and any other hyperpigmentation on the skin. Fibroblasts are stimulated in the skin through a heating process of the laser to form new collagen and elastin. Through the natural healing process of the skin following the laser treatment, the skin is left without the spots or hyperpigmentation.